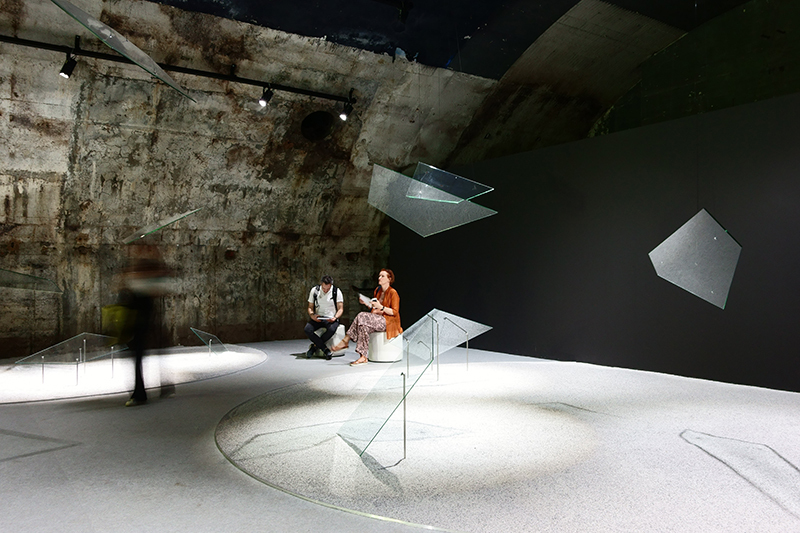 This installation makes use of sound-generating glass, a technology developed by AGC Asahi Glass and previously presented at Milan Design Week 2018. 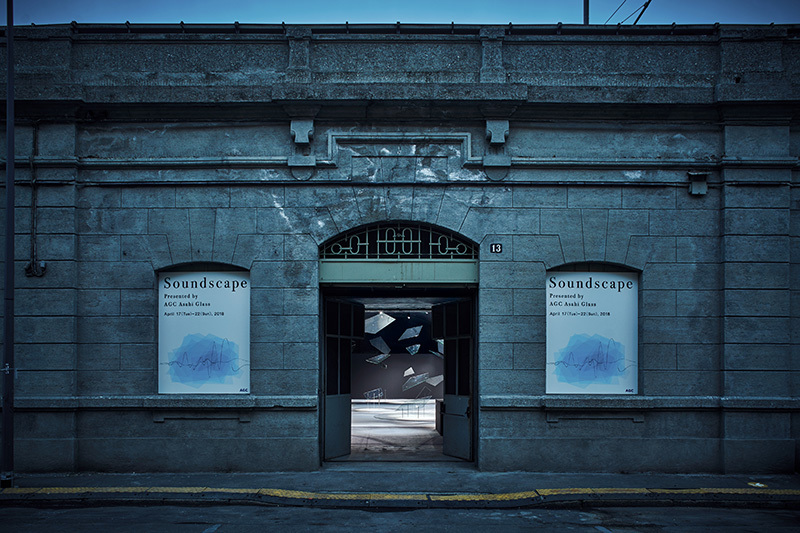 During this event in Milan, Italy, a novel “soundscape” was created inside an old warehouse at Milano Centrale Station. 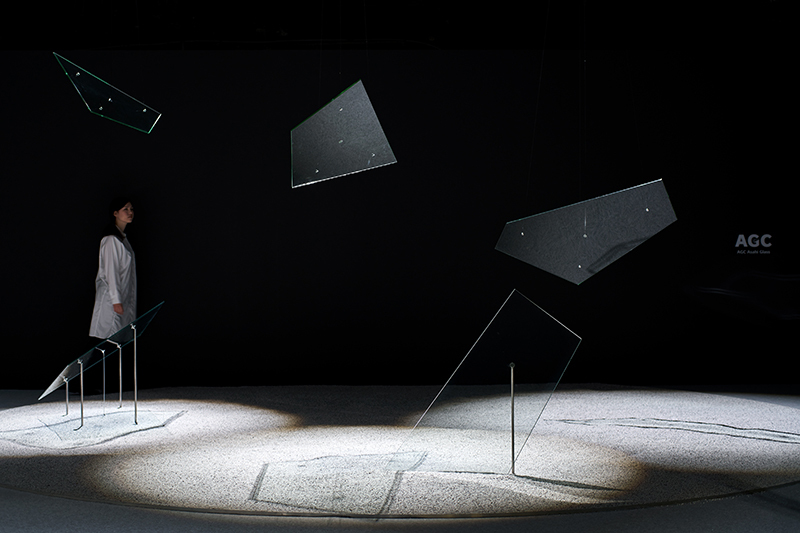 Sound-generating glass incorporates a brand-new design making use of a special intermediary layer in between the glass layers. When using this material as a transducer to generate sound—much like a speaker’s diaphragm—the innovative design mitigates the inherent resonance characteristics of glass and produces clear, beautiful sounds. 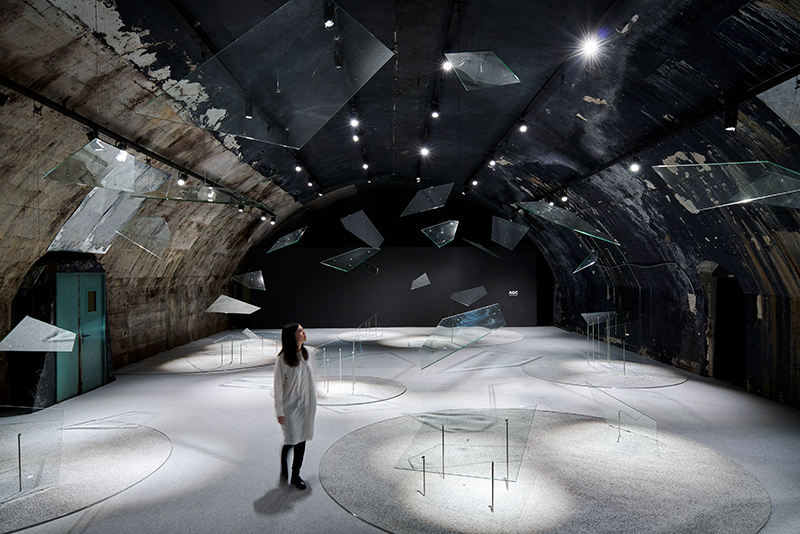 Designed using transparent glass and the intangible nature of sound, this exhibit captures a moment in time where a single sheet of glass has shattered into a number of shards dispersed throughout the air, making visitors feel as though time is standing still. 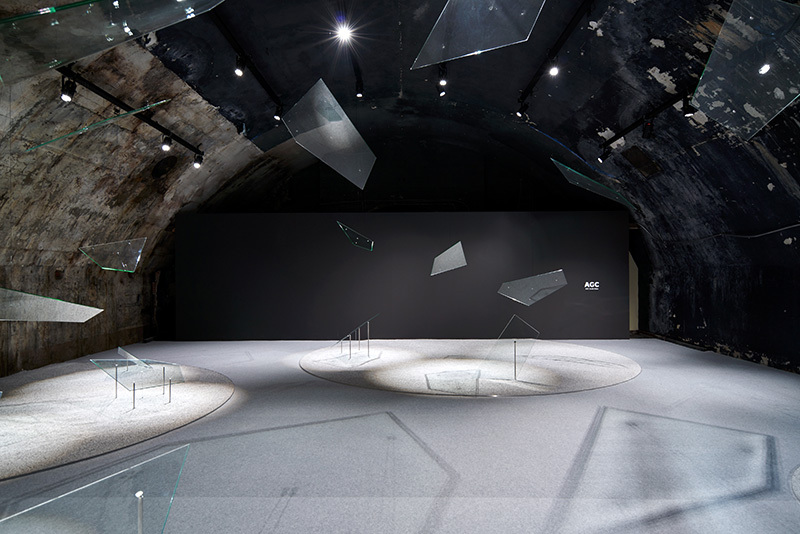 Each of the 35 sheets of glass scattered throughout this space emits a different nature sound, all of which are transmitted through a multi-source audio setup. Just like when taking a real nature walk, this exhibit provides a multi-layered soundscape in which the sounds can be sensed differently depending on the location at which they are being heard, in addition to providing each visitor with a distinctly different scene to experience. 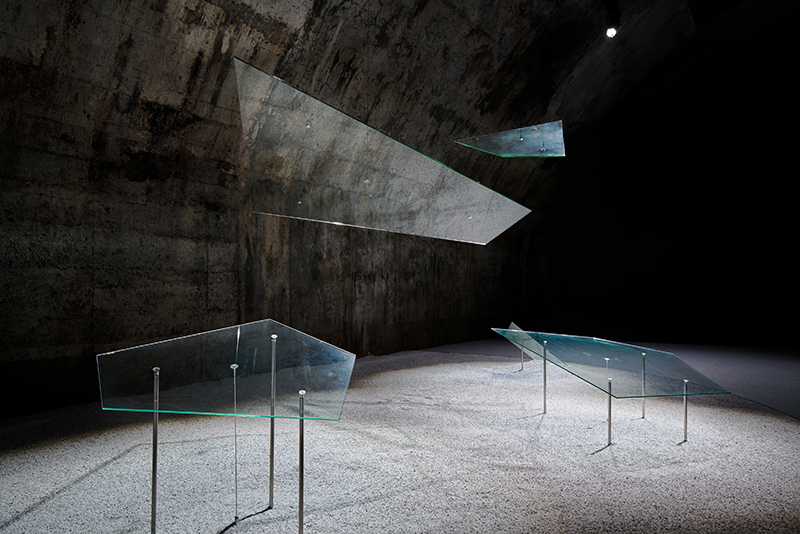 One visitor, for example, may hear birdsong from high-up locations that moves around intermittently, while another hears the sounds of crashing waves coming from somewhere below, all of which combine to create scattered, invisible “chambers” of sound within the overall space. Sound sources for the nature sounds used in this space are all taken from field recordings, and the overarching exhibit theme is the “water cycle,” wherein water vapor turns into water droplets, which then flow as water through streams until they reach the ocean. 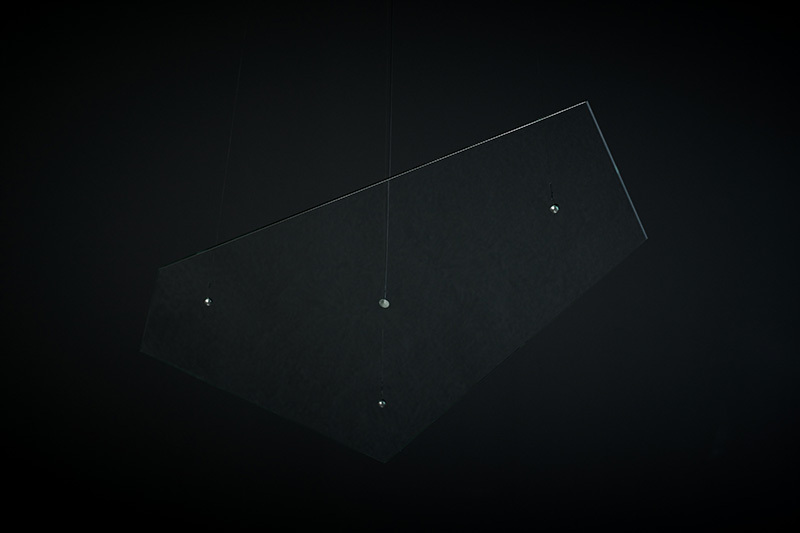 A special design setup has been adopted for this installation: In order to convey visually that sound is, in fact, being emitted from the glass itself, the exciter (the sound source) for each unit has been installed at a location separate from the glass, with vibrations being conveyed via fine wire to the glass material (similar to how a tin can telephone connected by string or wire operates). 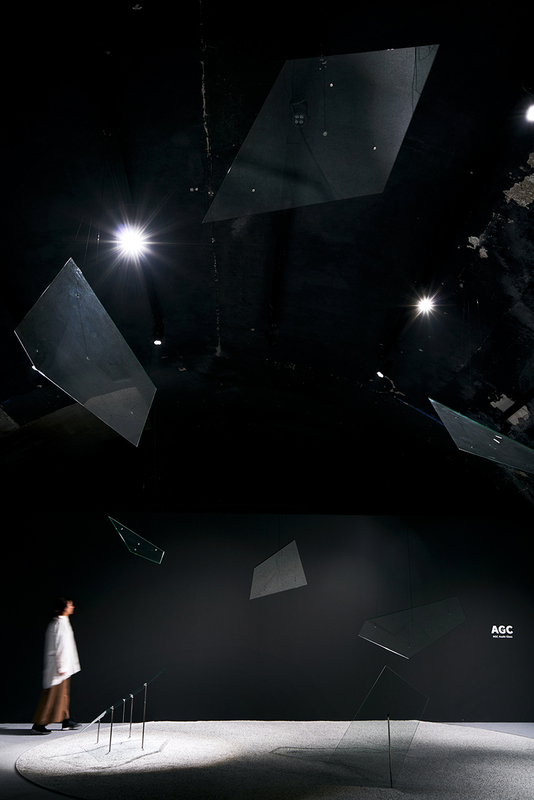 The result is an impressive speaker setup in which sound seems to be emitted by shards of glass simply suspended in the air. By closing one’s eyes and taking in the various sounds conveyed through the glass medium, it is possible to “see” external landscapes and imagery through auditory sensations alone. 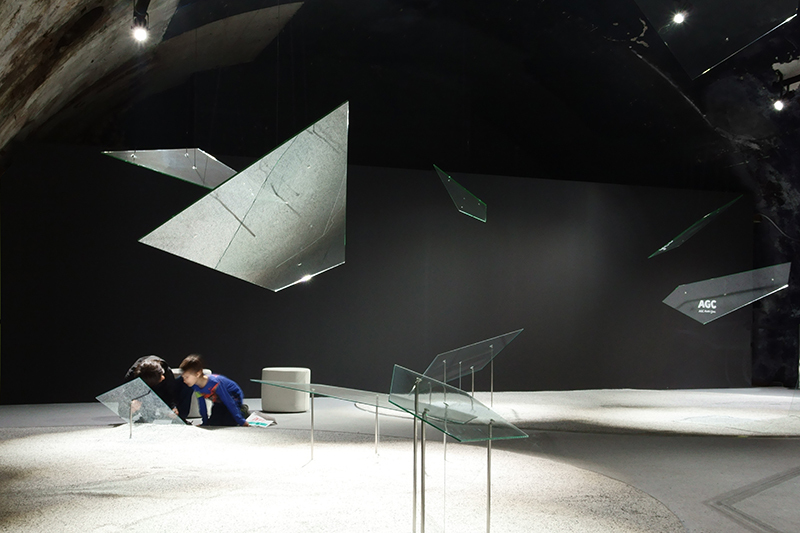 This new glass technology serves as a window into the world of soundscapes.